This is a dermatological act which encourages the skin to slough off, with the aim of stimulating its regrowth. Depending on the depth of penetration, superficial peels slough off a part of the epidermis, whilst medium peels penetrate to the epidermis and dermal layers; deep phenol peels reach the dermal layer but can be dangerous for the skin and are thus hardly ever carried out in practice. This peel is specified for the management of Rosacea, thread veins & rejuvenating skin. EnerPeel® MA incorporates a 5% concentration of MSM deep into the skin. MSM has been shown to exhibit significant anti-inflammatory and antioxidant properties making it a fantastic new treatment for skin prone to redness. 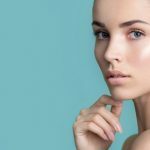 This facial peel delivers oil reducing salicylic acid in to the skin along with two active ingredients triethyl citrate and ehtyl linoleate – which were shown in a clinical trial by Professor Tony Chu to reduce the four main visible signs of acne. This type of peel is the most effective for actual ‘remodelling ’of the skin. An Enerpeel® TCA will improve colour, freshness, texture, skin tone, and fine wrinkles. It will also help to remove superficial discoloration, such as age spots. Due to the remodelling affects you will need to be prepared for some downtime with this peel, please discuss this at your consultation. Based upon salicylic acid, lactic acid and resorcinol, Enerpeel® JR is used primarily as a preparation peel for medium to deep peeling as seen with TCA. It can also be used to treat areas of hyperpigmentation; pregnancy mask and melasma’s in particular. After treatment, the skin will look younger, tighter and “fresher” than before. The areas of the face which show our age the most are the peri-ocular (around the eyes) and peri-orbital areas (around the lips). Enerpeel® EL is a gel-based skin remodelling solution that is especially designed for these sensitive areas because the combination of the two acids, where you can increase the concentration gradually by layering the product. This allows one to achieve similar results as you would with a high strength acid, thus limiting and controlling any irritation and reddening of these sensitive areas.